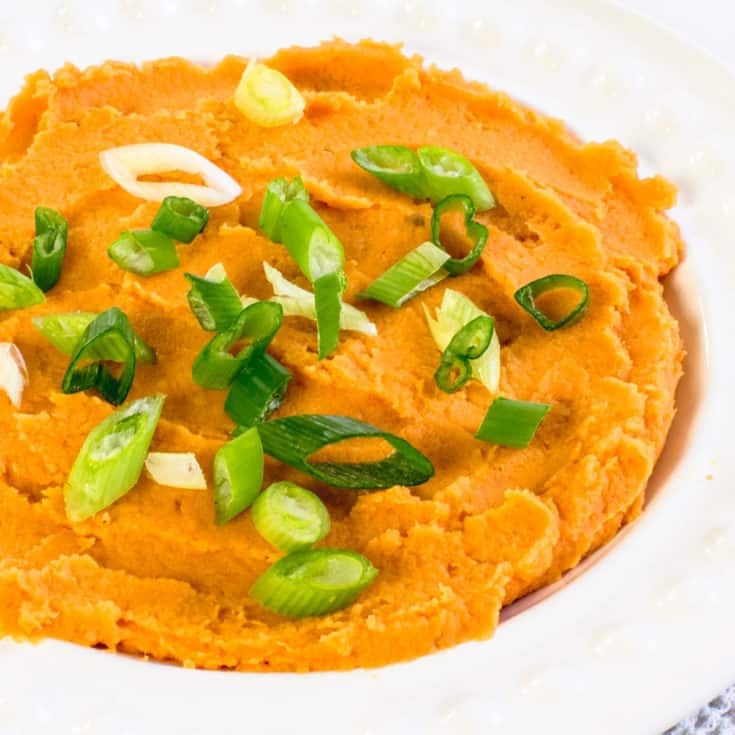 Sweet potato mash is lovely. 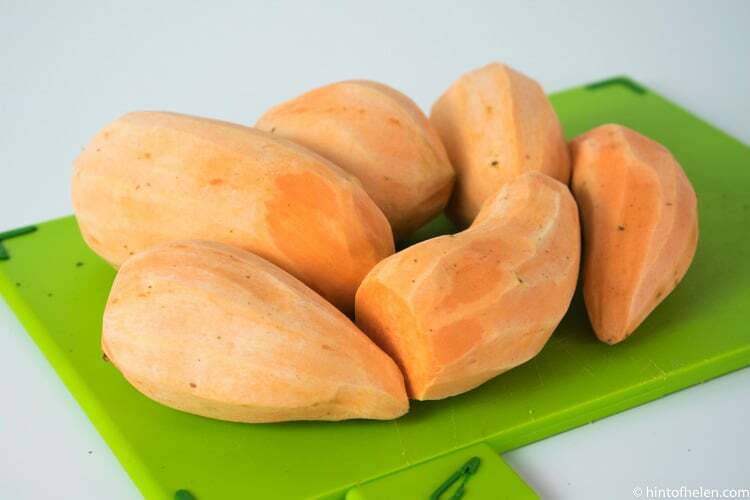 It’s super healthy, a rich source of fiber jam packed of vitamins A and C, as-well as iron and calcium – there’s no surprise many people are switching ordinary white potatoes for the sweet variety. But the switch isn’t always as straight forward when it comes to cooking. 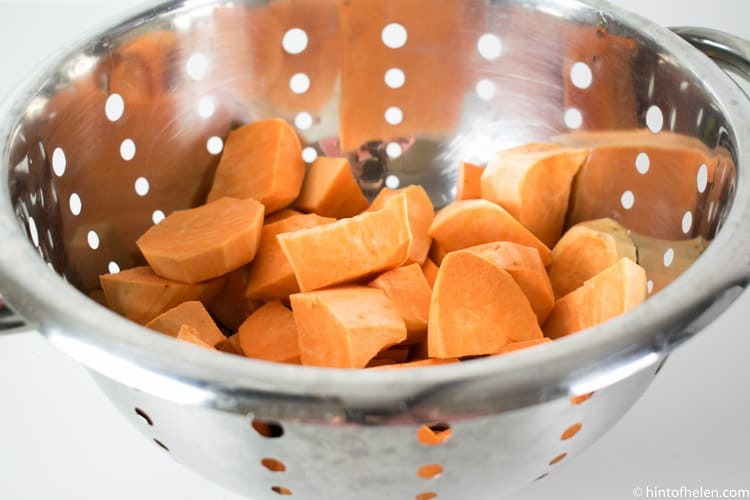 Sweet potatoes and white potatoes are actually pretty different, for starts, white potato contain a lot of starch, whereas sweet potato’s don’t (this means sweet potato doesn’t get crisp as easy, resulting in soggy chips or crisps if you’re not careful!). 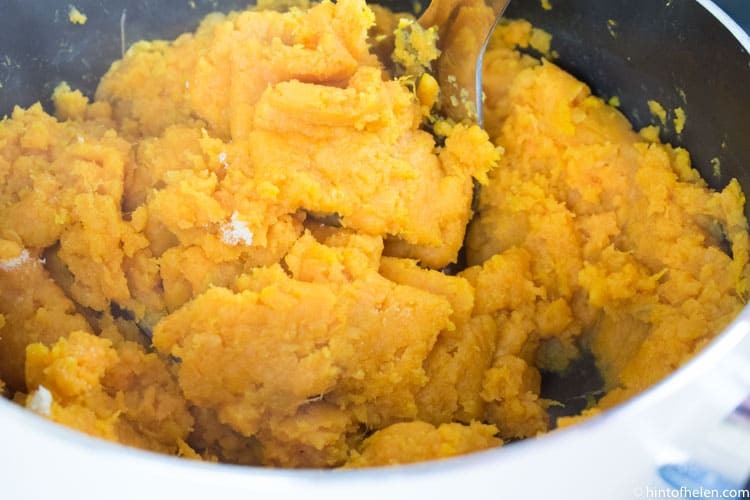 Another difference is the overall texture of a sweet potato, which i find much nicer for mashed potato – a sweet potato has a naturally creamier, softer texture, meaning there is little need to add access milk or butter – unless you really want to! 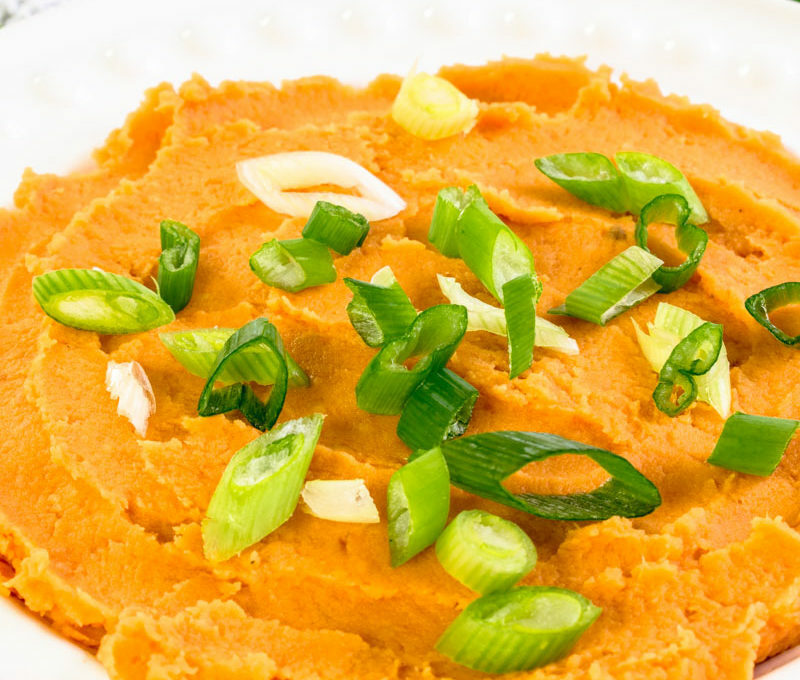 Instead of butter and milk, I add herbs or spices to my sweet potato mash, making it healthier and de-licious! 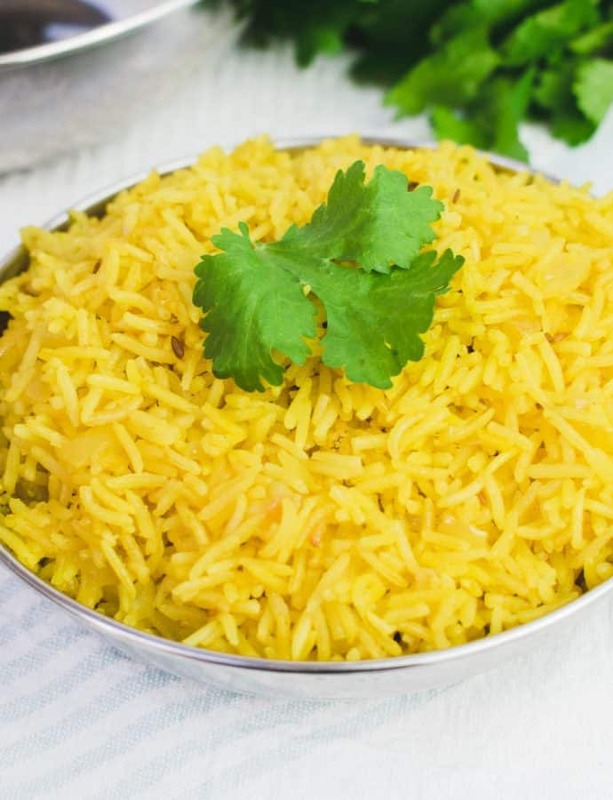 I do this by adding a level tsp of whatever I fancy at the mashing stage, things such as onion granules, garlic powder, dried chilli flakes and even ground cinnamon work great! Scroll down for ingredients and recipe card. 7. 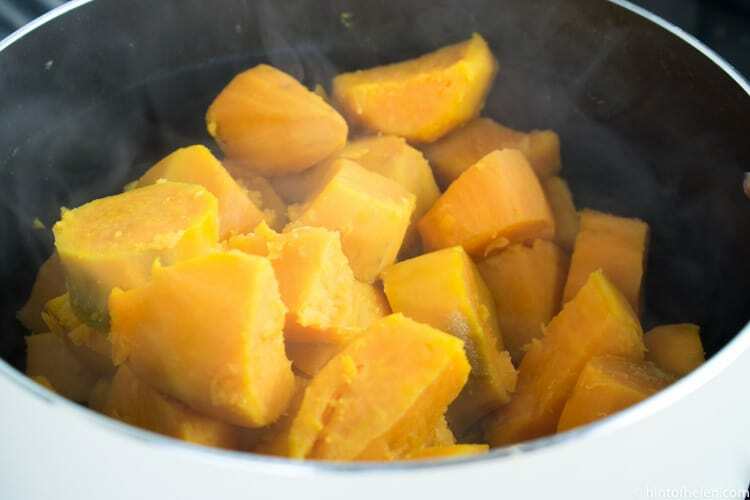 Cook until the chunks are tender. 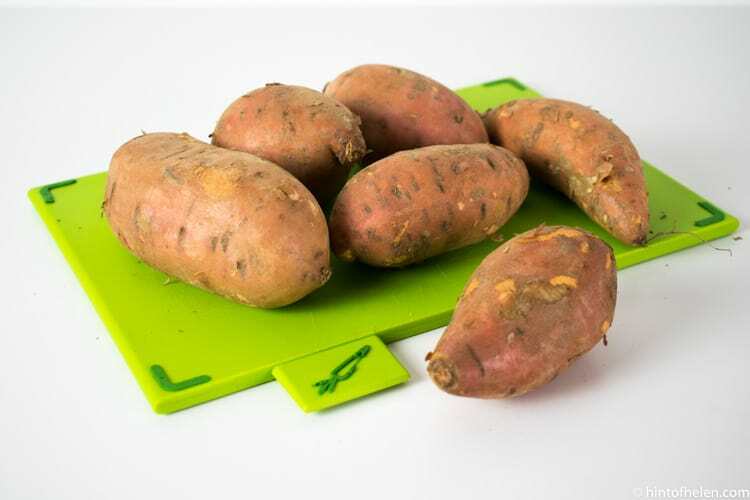 Insert a fork to test this – it should insert without resistance, and hold the potato for a short time before the potato slips off the fork. 10. 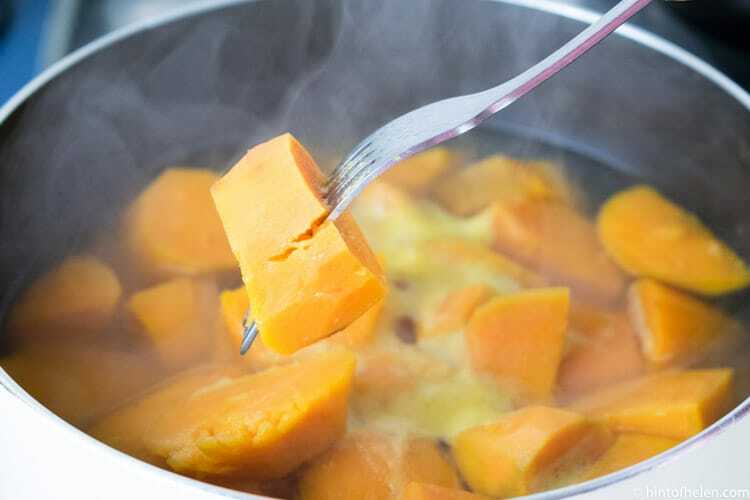 Using a potato masher, mash until there are no lumps remaining. 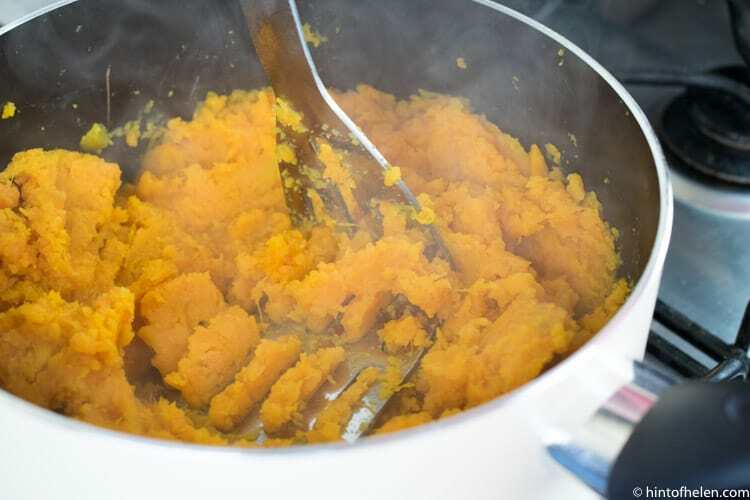 Sweet potato does have a different texture to white potato, so the mash won’t be completely ‘smooth’, some texture will remain visually, but it is soft to eat. 11. Add any herbs or spices you wish, or you can simply add salt and be done at this stage. Here is have added a tsp of garlic powder. 12. Mash for a couple of more seconds to incorporate the powder completely. 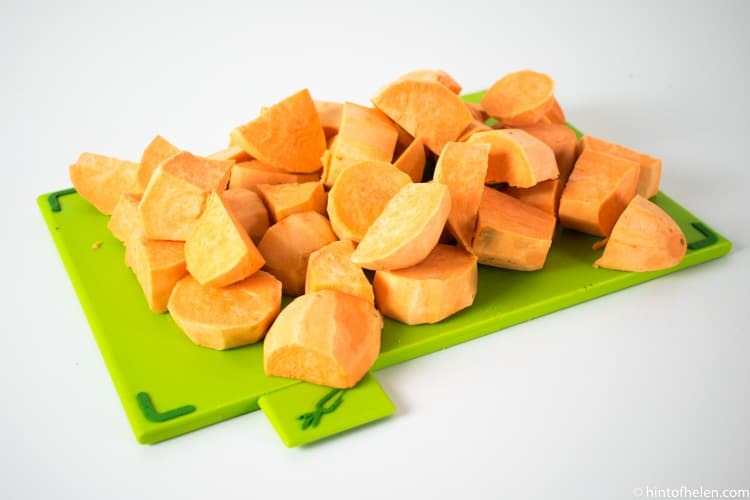 Peel and roughly chop the sweet potatoes, then rinse of any dirt in a colander. 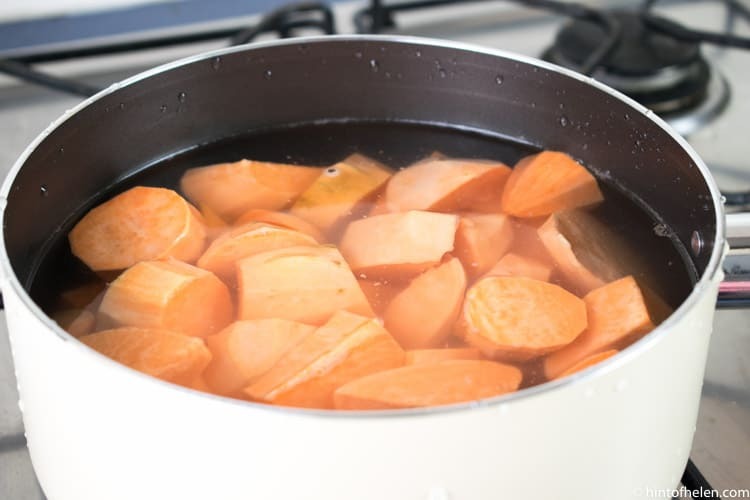 Transfer the chopped sweet potatoes to a pan of hot water, and bring to the boil. 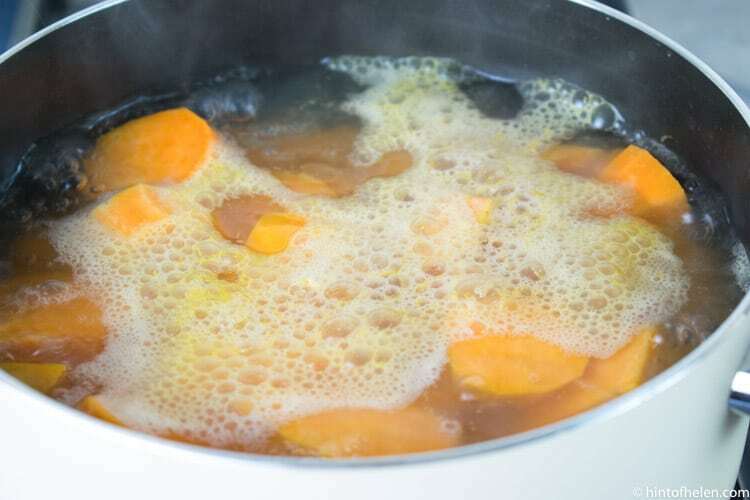 Reduce to a medium simmer, and cook until tender*, about 20 minutes. 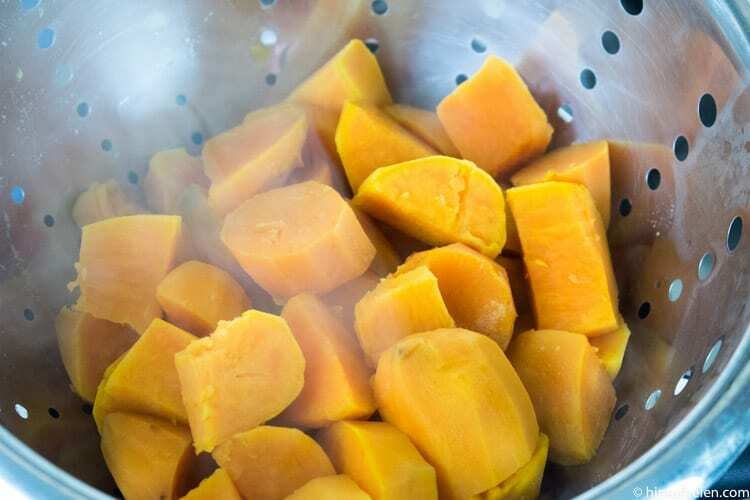 Drain the cooked sweet potatoes in your colander, and remove any water from the pan - then return back to the pan you cooked them in. 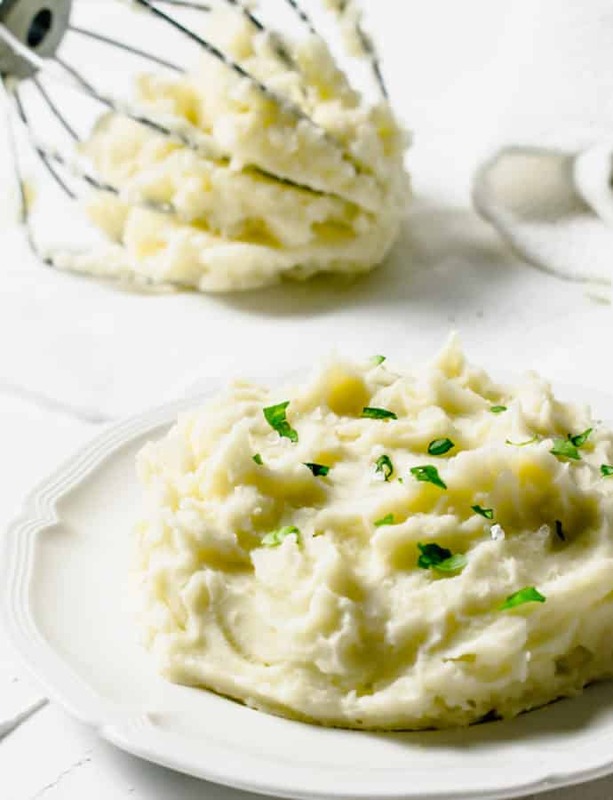 Using a masher, crush and mash the potatoes until no lumps remain. 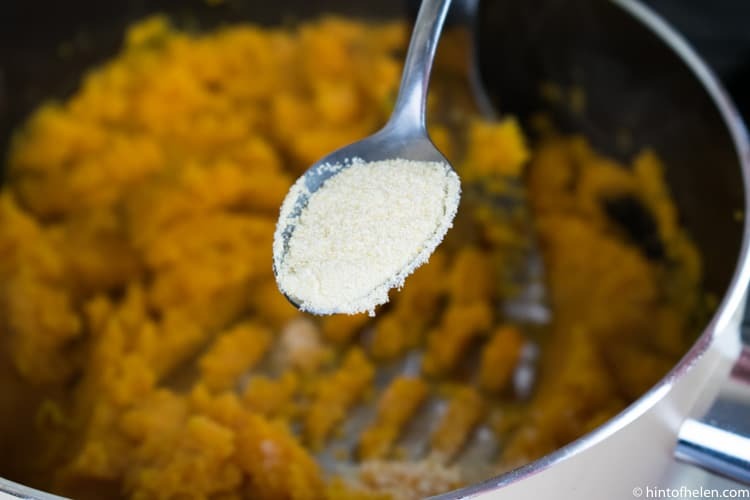 Add a level tsp of garlic powder, or any spice of your choice. 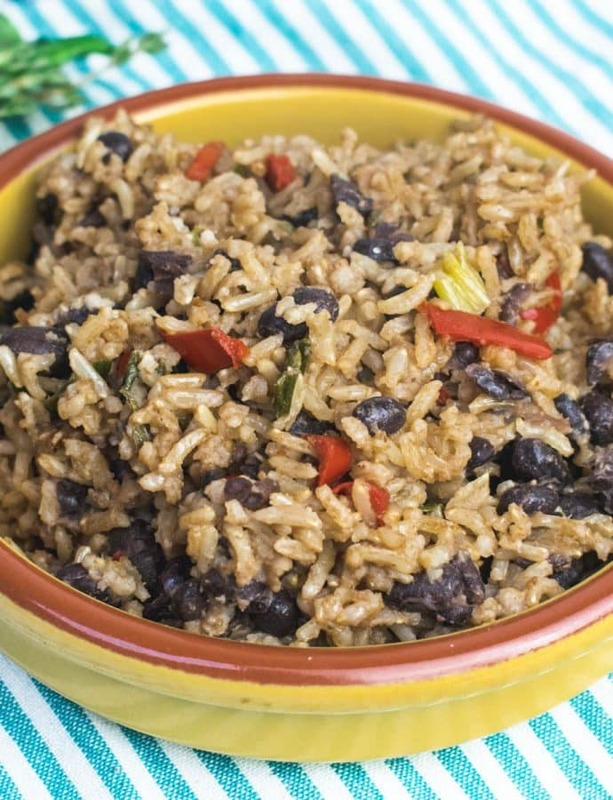 Taste for flavour, serve and enjoy!